In an alphabetical order get to know #GetVunked2015 team No. 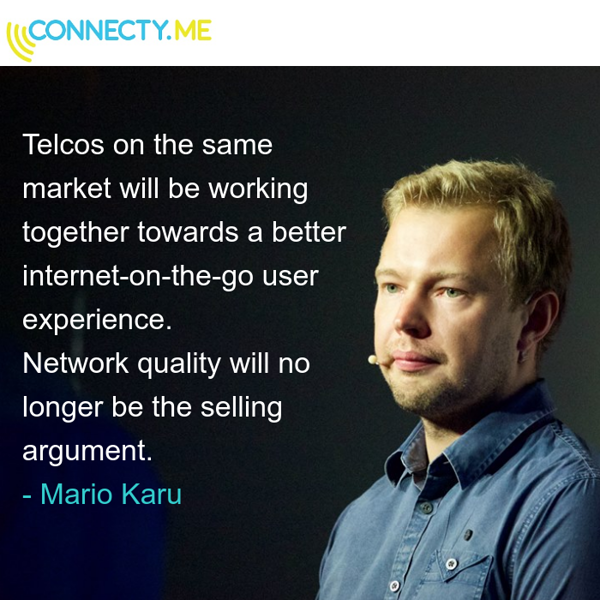 Two - Connecty & team lead Mario Karu. Coming from telco background they are really going to disrupt the telco industry, see how! Mario, what entrepreneurs do you admire and why? I admire Mark Zuckerberg; he is this down-to-earth kind of guy who has not turned into a corporate CEO. He interacts with his customers regularly and shares his ideas and plans – for example, the year of books project or the internet.org project. Another person I admire is Philip Defranco – a Youtube personality who started making news videos in 2006 and is doing it even now in the same way. Regardless of having built many new businesses (for example SourceFed and ForHumanPeoples) and becoming a big corporation. I think we have some of the best and brightest people on the team. Everyone has broad competence, and this means we are all deeply involved in all aspects of the business – making a business plan, finding target segments, validating ideas, marketing planning, development planning etc. This also means strong opinions and heated discussions. During meetings, everyone has to keep an eye on their ego to ensure we move forward. After "a battle" at the planning stage, the execution runs very smooth and fast. Now if I think really big, success for our idea means people all around the world have higher expectations of the internet. We want to impact the telco industry worldwide by creating a path for the internet-on-the-go that no longer depends on an operator or network technology. With the Connecty app switching seamlessly between different mobile networks and WiFis, you will always be connected to the best network for you. You just have to tell the app what you value most - speed, data cost, battery life or network quality.